Another MTV Video Music Awards show came and went, and it featured the typical blend of theatrical performances, celeb cameos, and jaw-dropping (and out-there) fashion. While it’s certainly entertaining, it’s not too often that you witness body-loving realness at the show—but, this year, Pink happened to give just that. The badass musician went on stage to accept the Michael Jackson Video Vanguard Award—no small accomplishment, considering it previously went to mega-stars such as RiRi, Beyoncé, and even David Bowie. 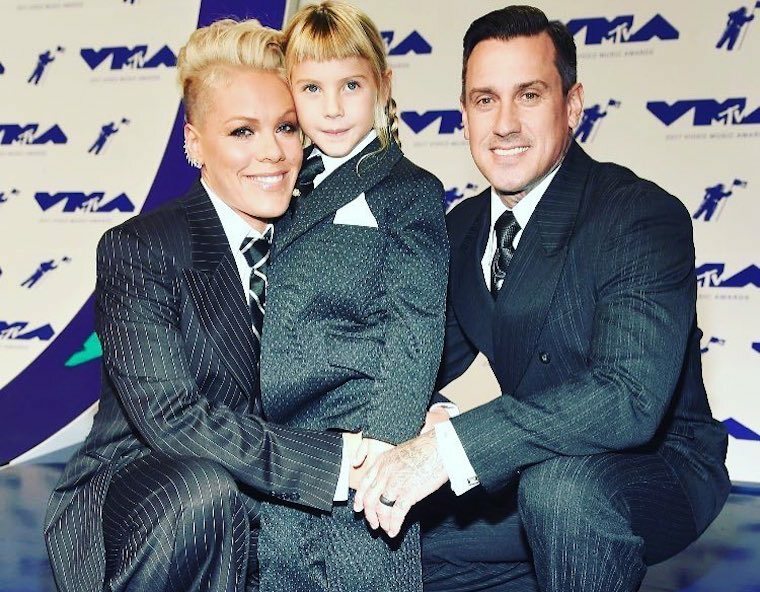 And she didn’t just thank MTV or her fans—Pink served up some seriously brilliant words of wisdom, inspired by her very own 6-year-old daughter Willow (though they’re words everyone can live by). “[Willow] said to me, out of the blue, ‘I’m the ugliest girl I know,'” said Pink. After asking her to clarify, Willow responded by telling her mom she looks like a boy with long hair. This led Pink to create a PowerPoint presentation (yes, really). “In that presentation were androgynous rockstars and artists that live their truth,” Pink continued (included were Prince, Michael Jackson, and Janis Joplin, among others). “[They’re] probably made fun of every day of their life and carry on and wave their flag and inspire the rest of us,” Pink continued. She then told her daughter—who thinks her mother is beautiful—that people make fun of her for “looking like a boy” or being too strong and masculine. “I said to her, ‘Do you see me growing my hair?’ She said, ‘No, mama.’ ‘Do you see me changing my body?’ ‘No, mama.’ ‘Do you see me changing the way I present myself to the world?’ ‘No, mama.’ ‘Do you see me selling out arenas all over the world?’ ‘Yes, mama. '” Preach. “We don’t change,” Pink told Willow. “We take the gravel and the shell and we make a pearl, and we help other people change and see more kinds of beauty.” Talk about a cool mom. Pharrell’s also about the love—here’s why he wants to bring more into your life. And Beyoncé’s serving up even more “Lemonade” life lessons.